Sitting right in the middle of the Cote d'Azur, Mandelieu La Napoule is a gorgeous holiday destination with excellent beaches, stunning scenery, delicious French food and great hiking opportunities. Situated half way between St. Tropez and the border with Italy, and neighbouring glamorous Cannes, Mandelieu offers the best of everything in the region. This seaside resort is fantastic at catering for tourists, and is very family friendly with lots of organised activities and events to keep you occupied during your stay. The tourist office is exceptionally helpful at recommending the best places to visit for entertainment, food and drink. Mandelieu is popular during the summer when the nearby Cannes film festival is on, but this town has so much to offer in its own right, too. Mandelieu is met with gorgeous stretches of Mediterranean beach, and also boasts two National Parks with stunning woodland and excellent views. There are also plenty of restaurants, culture and nightlife in this beautiful Riviera town. Mandelieu's coastline stretches for 3km and contains many different beaches from rocky coves to soft sand and gentle waves. The Esterel Massif carved the distinctive red rock coastline, characteristic of the Cote d'Azur, which rises out of the turquoise sea to stunning effect. The beaches are quintessentially Mediterranean, with soft white sand and bright blue sea. The town is very big on conservation and sustainability, and asks holiday makers to be careful to pick up litter and wear non oil-based sun cream to keep the water and beaches clean. The beaches are also safe due to life-guards situated all along the coast. Since 1987, Madelieu La Napoule has been designated a 'Station Nautique', one of 30 towns that the French Sailing Federation have declared to have the highest quality and largest choice of water sports available. The town offers a wealth of expertise in sailing, jet-skiing, diving, rowing, windsurfing and parasailing as well as excellent ports for boating or deep sea fishing. While you are in the area, take a boat trip and go dolphin and whale watching with an all day trip including lunch. There are 7 main beaches in the area, the largest being the Robinson beach which is a large, sandy beach with volley ball courts and on the road towards Cannes. The Chateau beach is the most unique in the area, complete not only with sandy bays but also a castle that sits right on the beachfront. The Raguette and Fon Marina beaches are excellent for children as they are separated by break waters, have shower facilities and calm waters. The best beaches for water sports are the Dauphins Beach and the Sable d'Or, the last being one of the most stunning in the area and backing onto the casino near Cannes famous la Bocca beach. For nature, you are absolutely spoiled in this part of the Cote d'Azur, with its rugged coastline, national forests and sparkling sea. Mandelieu-la-Napoule is home of the mimosa, brought to the Cote d'Azur in the 19th Century and, flourishing there due to the temperate climate became a main export and attraction to the area. Every February, Mandelieu hosts a 10-day festival in celebration of the bright yellow bloom. If you visit between January and March, you will be rewarded with hills covered with gold as they come into flower. The area is excellent for hiking and there are many organised walks for you to take in the surroundings as well as national parks to explore. The Esterel Massif is the hilly, forest area between the Alps and the Var. Walks along here provide breath-taking views of the Mediterranean with wildlife and plant life in abundance. The Forest of the Grand Duke is a national heritage area and is situated on an extinct volcano giving it unique ecological value. 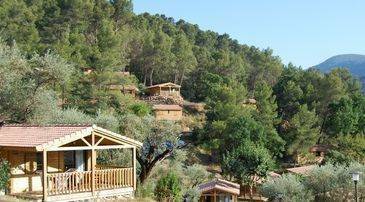 While the San Peyre mountain or 'sacred mountain' has well maintained walks with panoramic views. The island of Sainte Marguerite makes an excellent day trip by boat where you can explore the absolutely gorgeous beach and botanical trail lined with pine and eucalyptus trees. The island also has museums and an ornithological park. Mandelieu-La-Napoule is proud of its green areas and how well kept they are so this is heaven for walkers and nature lovers. For over a hundred years Mandelieu has been a top destination for golfing with 3 excellent golf courses (one 9-hole and two 18-hole) for pros or amateurs alike. This is a stunning place to play a few rounds. There are many ways to explore the area by bike, which can be hired easily, electric bike or even horse back at the pony riding club. If you’re an active explorer, the town has some excellent floodlit tennis courts for you to play a match or two. There are also several fitness centres as well as a spa for relaxation and therapy in the hot tubs and jacuzzis. The Chateau de la Napoule gives guided tours and is worth a visit for the gardens and the art inside. The castle was built in 1387 and its ruins were bought by an American billionaire painter in 1917. He rebuilt the mansion into the arts centre it is today that is still a popular attraction to this day. The gardens received an outstanding garden award and are definitely one of Mandalieu's must see hotspots. If you fancy taking a bit of the Cote d'Azur home with you, why not take part in one of the cookery courses that the l'Oasis Restaurant cookery school offers? Learn to cook a delicious meal followed by tastings and wine  a fantastic skill and memory to remind you of Mandelieu. This is a haven for food lovers and you will eat well while in Mandelieu, make sure you try fougasse bread and local saucisson for a sample of traditional flavours. There are a multitude of restaurants in the town from high cuisine for couples to family friendly eateries. If you're eating in, there are lots of markets with fresh, local produce to choose from. You can also find lavender, cloth, pottery, cut flowers, and art work made from olive and oak wood as well as local wine - which all make for the perfect souvenir.